The topography of the experimental forest station is made up of a layer of Kanto loam. When building the University of Tsukuba, rice paddies and wetlands were filled with soil dressing, and the soil features have now become complex. At Hyotaro Pond adjacent to the botanical garden, we conduct water quality surveys and catch and survey aquatic organisms with the aim of improving the environment. 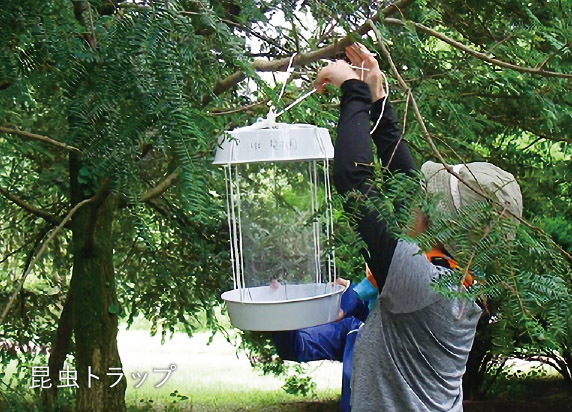 In the botanical garden, approximately 300 species of mostly native Japanese trees have accumulated. The orchard is mainly managed to provide replenishing plants to the botanical garden. 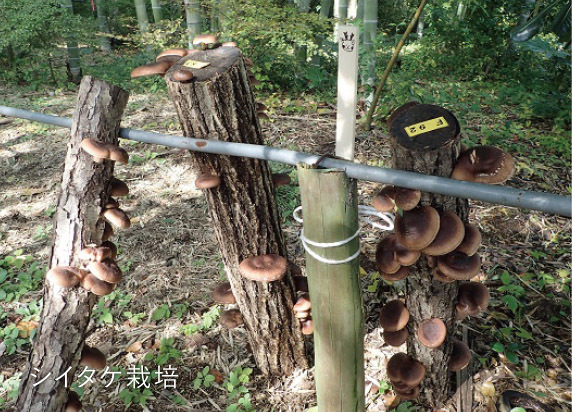 The bamboo forest is used as a resting place for raw wood injected with mushroom fungi in exercises. The amounts of sunlight and water are adjusted to control the amount that develop. Over 0.21 hectares on the northern side, konara oak, sawtooth oak, and other trees are cultivated from seedlings as raw wood for mushroom growing and used in exercises and research. There is a botanical garden management building that acts as the base of operations for these activities. The botanical garden is used as a place for plant-related education and research and relaxing on campus, but its value is not limited to plants alone. As a variety of trees are planted, a variety of insects and fungi come to inhabit them, so it is also used as a site for researching insects and fungi. A new variety of wasp has also been discovered in the botanical garden. 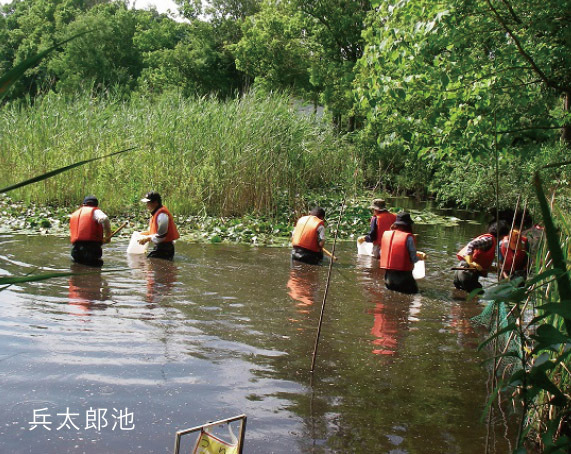 At the Hyotaro Pond, surveys of the water quality and aquatic organisms continue to be regularly conducted. 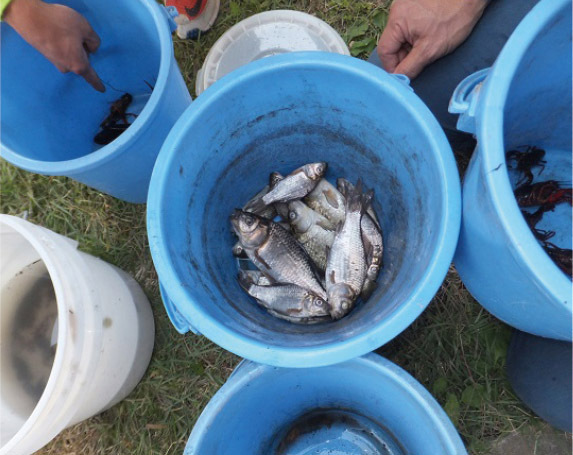 As a result, we were able to learn that a large number of non-native species, including bullfrogs, bluegills, and crayfish inhabit the pond. Although, this is certainly not a desirable ecosystem, we have used the situation to our advantage in exercises experimenting with the expulsion of non-native species and as a place to test effective non-native species expulsion methods. 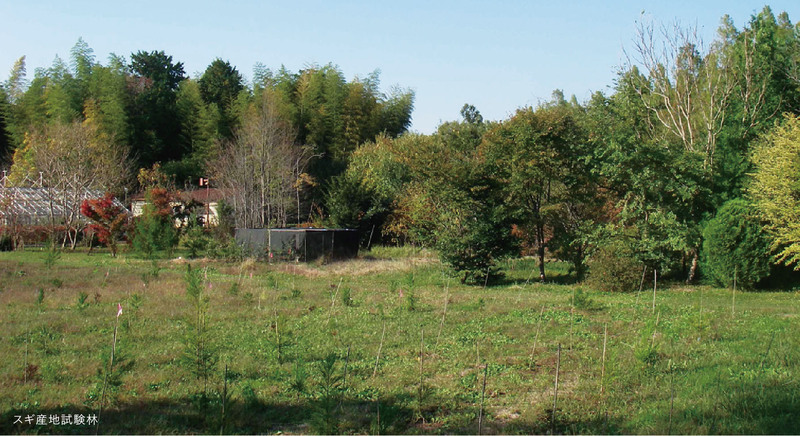 There is an experimental forest specifically for growing cedars in the orchard. It is made up of cedars collected from 14 populations of natural cedar forests in Japan consisting of seven cedar populations from the Japan Sea side and seven populations from the Pacific Ocean side. As the seedlings are still small, we look forward to using them in future research.